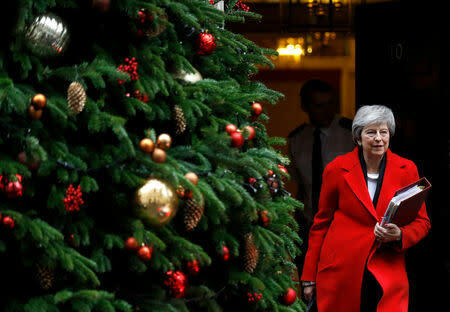 LONDON (Reuters) - Prime Minister Theresa May's Brexit deal came under fire from allies and opponents alike on Wednesday after the government was forced to publish legal advice showing the United Kingdom could be locked indefinitely in the European Union's orbit. "Having achieved our aim, trying to get to a better deal, it would be a bit illogical to turn around the next day and say, 'Right, let's get the government out,'" Dodds told ITV television. On Wednesday, one of May's chief party enforcers listened to the concerns of euroskeptics in her governing Conservative Party and DUP. Sterling , which has seesawed on Brexit news since the referendum, traded well off the 17-month lows it hit on Tuesday, lifted by suggestions that Britain may opt not to leave the EU after all.